With more than 100 million views on YouTube and Facebook, Voctave is the hottest group in a cappella today, and they’re coming to the Saturday Night Spectacular at the International Convention in Orlando. Lush, rich, harmonies and poignant, expression-filled singing make the 11-member a cappella group from the Central Florida area something special. Group members have professional roots with Walt Disney World entertainment, but their range does not stop there. From gospel music to musical theater, contemporary Christian to barbershop, pop music to choral specialists, Voctave voices have covered it all both in and out of the a cappella realm. The group has performed with Grammy, Dove and American Music Award recipients including Sandi Patty, Kirstin Maldonado, Mark Lowry, David Phelps & Jody McBrayer. 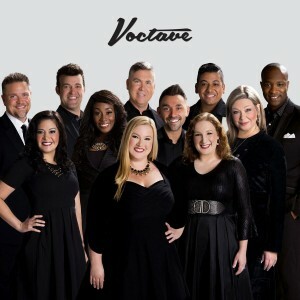 With multiple #1 songs and albums on iTunes, Amazon and Spotify, Voctave has also ranked in the top 25 on Billboard Magazine’s charts. Admission to the Saturday Night Spectacular is included with convention registrations, Day Passes and Weekend Passes.